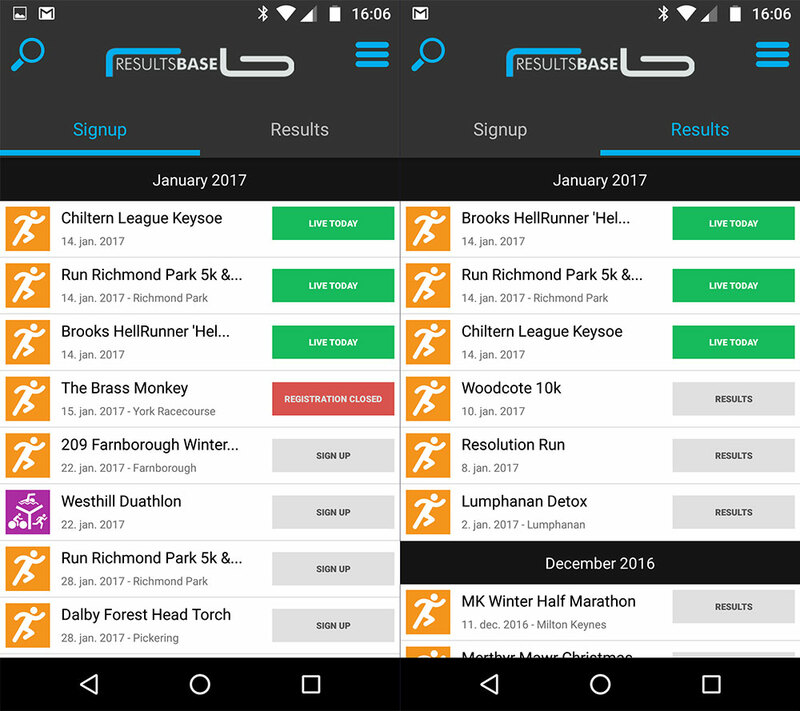 With the whole world running their lives on mobile devices these days we thought it was about time we updated the way that our online entry and results could be accessed - hence our mobile app. No longer will you have to scroll around the screen trying to fill in an online entry form or search for a result, it's all been mobile optimised and will scale from phone to tablet. The app is available for download for Android devices from the Google Play store (HERE) and is available for the Apple family of 'iDevices' as well (HERE). The Technology role is to help develop, manage and maintain our timing, networking and infrastructure both at our Milton Keynes offices and out in the field at events. You'll need at least a good understanding of wired and wireless networks, SQL databases and general office applications like Office365 and Sage. We also expect you to have an inquisitive nature as part of your role will be looking into new technologies and their potential for our business. The Timing role will involve being part of our growing team of event timers and you will need a clean UK driving license and an aptitude for working with both technology and people in sometimes stressful situations. Full training on the timing systems will be given but you will need to be familiar with PCs and Windows. ResultsBase was officially launched in April 2014 with a central base in Milton Keynes and an additional Southern and two Northern offices. However, we are by no means a new starter in the timing industry! Every member of the 12-strong founding team has many years of experience working first-hand in the events industry. This outstanding combined experience across all areas of event management, and, of course, event timing, means we are in an un-challenged position to support every aspect of your event. We provide timing services to over 300 events per year with our core business areas being running, cycling, multisport and obstacle races. Using our in-house designed Black Box timing systems we can tackle anything from a simple charity run to a multi-day, multi-stage cycle event and anything inbetween. 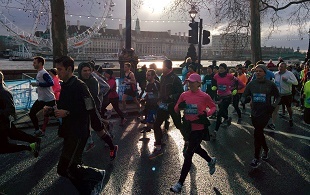 And our timing options go way beyond the simple 'mat on the ground' with a phenomenaly reliable 'chip-on-bib' system which delivers mass participation timing for events like the London Winter Run or our LiveTiming app which puts accurate live-to-web low cost timing in the hands of small event organisers for whom a full-blown chip timing option is not an affordable option. 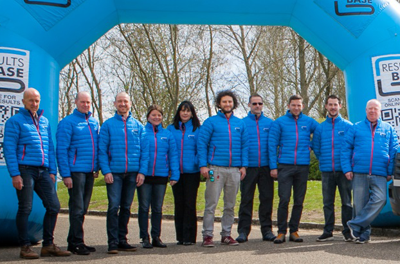 Beyond timing and results we have plenty to offer event organisers with race bib production including full personalisation options, event pack production and delivery, a fully integrated online entry service that seamlessly links with all our timing and results options and more besides. If you want to upgrade your event with instant results at the finish line, race clocks, a commentator display, customised message and information displays on large screens, PA systems and rigid or inflatable arches with custom branding then all of this and more is possible and part of our regular service. If you are interested in seeing what really can be delivered by a timing company committed to supporting your event then get in touch: info@resultsbase.net will put you through to our main Milton Keynes office and the start of what could be a very worthwhile discussion. 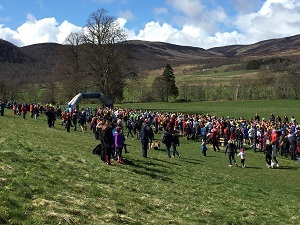 With sun, rain, a cold wind and finally a blizzard, nothing was going to stop the 2015 edition of 'Run Balmoral' being a massive success. Results Base are very proud to be associated with this iconic event with over 5500 athetes over the weekend, all perfectly timed using our chip on bib timing system. 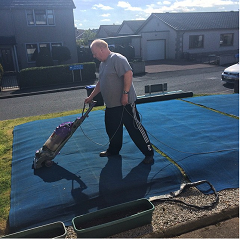 Results Base are getting ready for the Balmoral races this weekend, a fantastic weekend of events at the Scottish home of the Queen, so no expenses spared when it comes to showing off the Blue Carpet! Well done Henry the Hoover!!!!! Shutting down chunks of London for the Cancer Research UK London Winter Run might have caused a few headaches for the traffic mangement team but timing more than 11,500 runners over their 10k route with a live 5k split, live to web results and finish time SMS delivery all went remarkably smoothly thanks to our bib chip timing system. The sell-out run has already booked its slot for 2016 so we are all looking forward to doing it all over again next year! The extremely frosty weather this weekend didn’t stop the thousands of runners attempting PB's around the country. 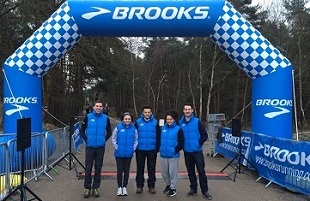 We were lucky enough to be a part of the Brooks Hell Down South, The Brass Monkey Half Marathon, The Fred Hughes 10 Mile and the Lakeside Canal Run. If you were one of the hardy runners competing, especially in just a vest then well done. Click on the links above to see the full results, Team RB. Results Base are very proud to be associated once again with the Herts 10k. 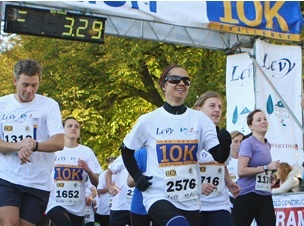 The race is based at Rothamsted Research in Harpenden and attracts around 3000 runners each year. The Herts 10k is Rennie Grove Hospice Care's flagship fundraising event and generates thousands of pounds for the Hospice every year. To enter the 2015 race which will be on October 11th, please click here. Today saw the start of the 10th year of the Cyprus Challenge, with the usual start at the fantastic Coral Beach Resort Hotel. The event, which runs over four days, kicked off with a 6K time trial. Day two will see an 11K hill race, followed by a Half Marathon and the last day concludes with a 10K finishing in the city centre of Paphos! The weather today was fantastic and the competition very strong, especially from the British contingent.